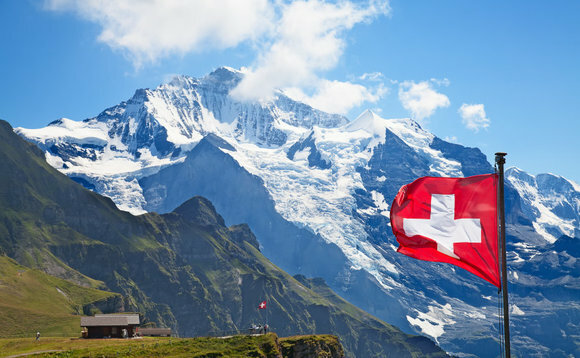 Switzerland’s Financial Market Supervisory Authority (FINMA) has banned Gazprombank (Switzerland) Ltd from accepting new private clients until further notice, after identifying “serious shortcomings in anti-money laundering processes” with respect to such clients. After carrying out an investigation into the bank – which it launched in 2016, and which was based initially on information revealed in the so-called Panama Papers exposé – FINMA said it had determined that the Swiss arm of the Russian, state-owned Gazprombank had “failed to carry out adequate economic background clarifications into business relationships and transactions with increased money laundering risks”. FINMA announced the ban on new private clients for Gazprombank (Switzerland) in a statement on Thursday, which it said marked the conclusion of its investigation into the bank. Gazprombank Switzerland focuses primarily on corporate clients and, in particular, on trade finance and commercial lending. Gazprombank Switzerland was one of more than 30 Swiss banks FINMA set out to investigate in the wake of information disclosed by the Panama Papers, which occurred in April 2016, when, as reported, the US-based International Consortium of Investigative Journalists went public with a trove of more than 11 million confidential documents it had been secretly given, that had been stolen from a Panamanian law firm. As part of its review, FINMA had opened enforcement proceedings against Gazprombank (Switzerland), in relation to potential breaches of anti-money laundering rules. In its enforcement proceedings, FINMA said, it had “examined the manner in which the bank had exercised its anti-money laundering due diligence requirements for a number of business relationships involving private clients, and politically exposed persons using offshore companies”. Ultimately, it said, it found that Gazprombank (Switzerland) “was in serious breach of its anti-money laundering due diligence requirements in the period from 2006 to 2016”, and said it therefore had “banned Gazprombank Switzerland from expanding its activities with private individuals”. Until further notice, the bank may not establish any new relationships with private clients; its existing client relationships “must be strictly monitored”, and Gazprombank Switzerland “must also establish from among its board of directors a ‘risk committee with a majority of independent members”, FINMA said. Gazprombank Switzerland oficials couldn’t immediately be reached for comment. But “a personclose to Gazprombank” told the Financial times that Swiss bank’s private clients made up less than 1% of its business, and also noted that FINMA had not fined it, limited its core corporate lending business or taken action against any of its executives. Gazprombank is Russia’s third largest banking institution by assets, and evolved out of an earlier institution known as the Russian Commercial Bank Ltd. In its statement, FINMA acknowledged that many of the breaches it had found at the bank had been initiated prior to 2009, when it was still known as the Russian Commercial Bank, and that it had “taken various measures to improve its organisation, risk management and control functions”. Gazprombank used to have an outpost in London, but closed it in 2016, according to reports at the time, which noted that it had been effectively dormant since 2012.